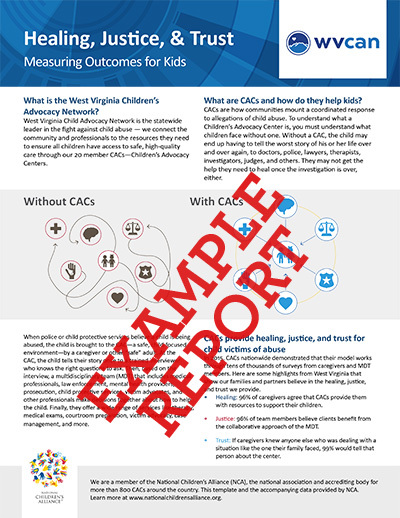 NCA’s Outcome Measurement System (OMS) helps CACs demonstrate their success to funders, lawmakers, and stakeholders, while helping centers to benchmark themselves against the field to internally identify areas for improvement. Below are some 2015 OMS resources for CACs to help you improve your work, build support and trust among your networks, and make the case for new support to lawmakers, funders, and community leaders. Member Edition for CAC professionals, board members, and MDTs. Use it for benchmarking performance against national averages, highlighting bright spots, and identifying areas for improvement at CACs. National Report for sharing with supporters and engaged stakeholders. Use it to demonstrate the success of the CAC model and the value of CAC work in the eyes of caregivers and MDT members. A brief of the 2015 OMS data highlighting how the CAC model works, its successful outcomes, the momentum of our movement, and the need for continued and expanded support. Use it to share with lawmakers, funders, or other current or future supporters whose time may be limited. 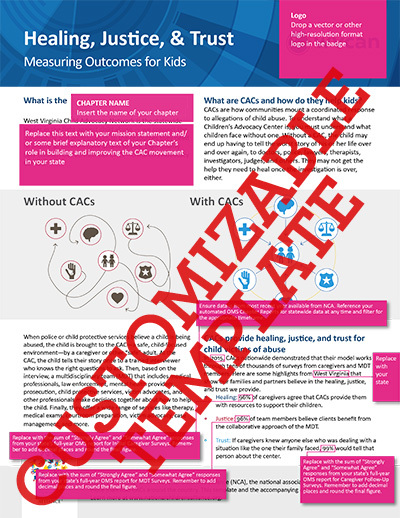 A customizable template version of the Healing, Justice, & Trust brief you can edit with Adobe InDesign to include your own data, logo, and graphics. Includes a toggleable instruction set layer (in pink). How do CACs use OMS? 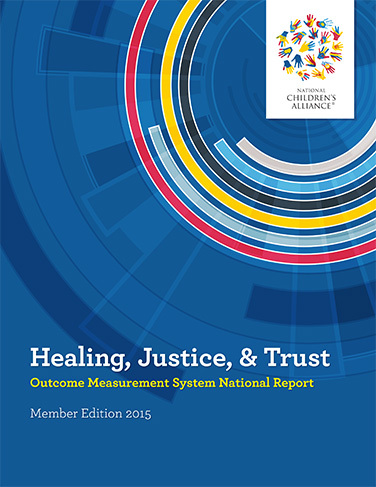 OMS is one of the most requested and widely used membership benefits provided by the National Children’s Alliance. 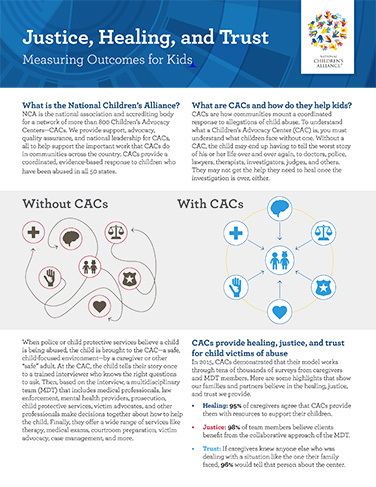 Developed in Texas in 2009 and then offered by NCA to CACs in other states starting in 2012, its success demonstrates the growing need for a unified system for evaluating CACs on an individual, state, and national level. It provides the opportunity for each CAC to not only measure their own performance, but also benchmark themselves against the field. 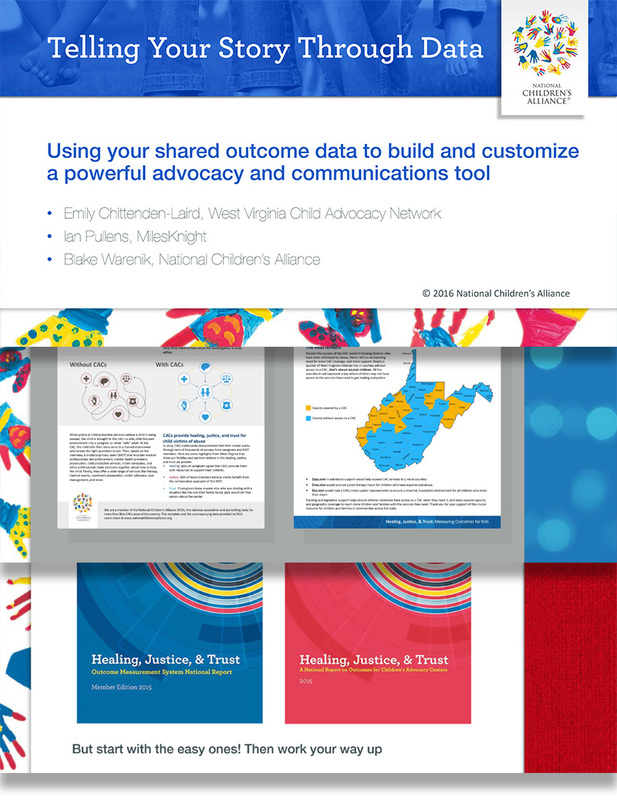 Hundreds of centers across all 50 states (and a growing number of international locations) have used OMS to give families and team members a voice in the CAC process, which in turn allows centers to demonstrate their success and find areas for improvement. The CAC facilitates healing for children and caregivers. The MDT approach results in more collaborative and efficient case investigations. New to OMS? Get Started! Centers can join OMS at any time! Here are a few links on how to start using OMS to tell your story and improve your work right away. Thank you for your interest in OMS! We are excited to provide you with this important tool for your CAC. These outcomes demonstrate your dedication to serving children in your community and engaging in this national movement.